Biography: Gregory Bartlow M.D. is a Board Certified Dermatologist and Dermatologic Surgeon, specializing in skin cancer surgery. He is a member of the SCARS Center’s team of surgeons, working to educate, diagnose and treat patients in Orange County. Dr. Bartlow has practiced surgical dermatology for over thirty years, perfecting his abilities in the minimally invasive, highly successful treatment of Mohs Micrographic Surgery. This technique has a success rate in the 90th percentile and allows physicians to preserve skin in the sensitive areas of the head and neck, such as eyes, ears, nose and mouth. While Dr. Bartlow strongly recommends sun safety and awareness for protecting oneself against the threats of skin cancer, his biggest advocacy is for regular skin checks. Over the years he has treated innumerable skin cancers that existed in areas with little to no sun exposure, and contends that most of his patients are regulars, as skin cancer will recur in patients who have been previously treated. Interests: A Southern California native, Dr. Bartlow is married to the Hall-of-Fame surfer Jericho Poppler and father to six children. In Dr. Barlow's lengthy career he has seen the rise of skin cancer cases over the years. He is a sun-safety advocate for his wife, children and community, and is an active participant in several southern Californian charities, such as Pipeline to a Cure, an organization that focuses on the benefits of surfing for children with Cystic Fibrosis. 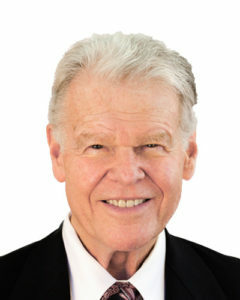 Accomplishments: Since 1978, Dr. Bartlow has acted as a Community Health Professor in the Department of Dermatology at his Alma Mater, University of California, Irvine. He also spent five years training and educating UCI medical students as a Clinical Instructor in the Dermatology and Plastics Clinic. Research: Dr. Bartlow has been published multiple times in the Journal of the American Academy of Dermatology and the Journal of Dermatologic Surgery and Oncology for his research on the removal of basal cell carcinoma and dermatologic facial reconstruction. Dr. Bartlow has been an advocate for the practice of Mohs Micrographic Surgery for skin cancer patients, giving presentations across the United States to dermatological societies and hospital staff.